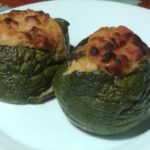 Today, we suggest a recipe of zucchini stuffed with yellowfin tuna sent by Dea as part of our recipe contest. With mashed potato, egg, tomato, yellowfin tuna and a touch of gratin, this dish is a real treat you will enjoy for sure. Hungry? Well, let’s get to it! Cut the zucchini (if long, cut them lengthwise, if round, remove the top part) and steam until tender (the time depends on the size and variety – prick with a fork to check if they are cooked). Once cooked, empty them with a spoon and let them drain mouth-down. Drain well the pulp in a colander. Prepare the mashed potatoes (it can be instant) and mix with eggs, tuna and fried tomato. Once all the liquid has been removed, crush the pulp well and mix it with the mashed potatoes paste. 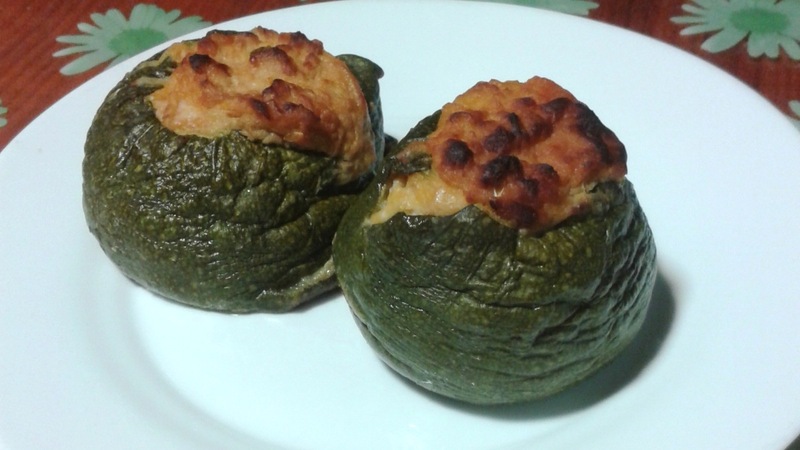 Fill the zucchini with the mixture and add grated cheese on top. Bake at 180º for 40 minutes. So good! Thank you Dea! If you like this recipe, you can make it at home with the yellowfin tuna available in our online store.